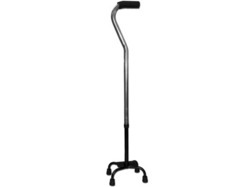 Feet won't fail you now with this Heavy Duty Walking Crutch Aid that stands upright on its own. Four strong legs with plastic end caps create a stable base to its sturdy metal body. Foam hand grip ensures hold and adds comfort. 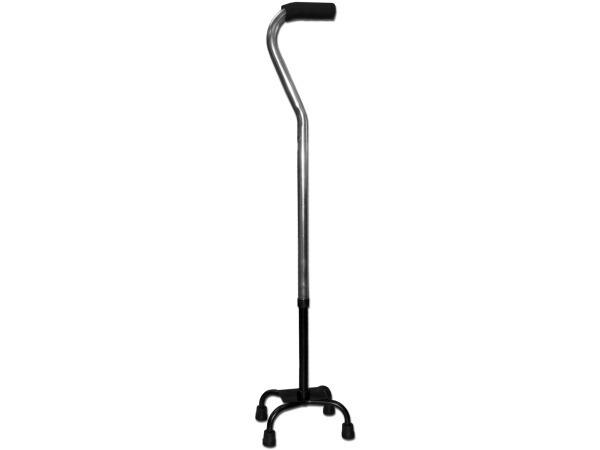 Simply push a button in the middle to adjust the height of the crutch from 29" to 36". Comes loose.